Vincenzo Turino Sossio, Klaide in art, as a child falls in love with music thanks to his father who is still a great fan of music. He’s the one who teaches Klaide the beautiful art of the DJ. In 1996 Klaide starts performing in small clubs of his hometown, Bari. Flanked by his teacher and friend Antonello Scocca, Klaide performs in front of an audience for the first time on October 31 st, 1996 in a well-known club in the city, thus transmitting for the first time his love for music with two turntables and a few vinyls. Klaide decides to make this passion grow, collecting vinyls of various musical genres, performing in the most important clubs and with a wider audience. Then, he decides to improve his technique and he wants to turn his hobby into a business. After playing in many clubs of his town, he decides to start a new project in London, in 2009. During his period in England, suddenly Klaide stands out and he plays in two well-known clubs in the city: Cafe de Paris and Aquarium. In this short time, he decides to dive into the world of music starting to produce and to form his own musical style. In 2012 the first record contract with the note label Purple Music comes out and his first release with this label is called "Don’t Look Any Further" which becomes a real smash. Later on, he gets different releases on other labels as important as Soundmen On Wax, King Street Sounds NYC, Lapsus Music and Deeptown Traxx. 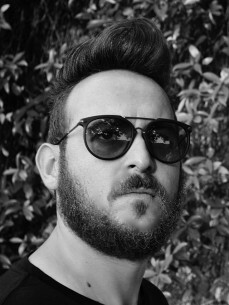 Klaide in 2013 decides to found his own label, the Block Soul Records with whom he produces the compilation Knob vol. 1 and 2, which have been very successful even among artists of great importance. In the following years Klaide continues to produce music and in 2016 opens his latest label called Nox Music.